And he was right. He was able to put this frame together in a matter of minutes and Kaylee was thrilled! She loved having just the frame, never mind having any sort of canopy attached. Kids are easy to please. I took her to the fabric store and she chose a couple of fabrics for the project. A pink kitty fabric and turquoise tulle. After a couple of hours of stressing (I’d never done something like this before and did not have a pattern) and sewing, here is the finished product! You can see that both side panels are kind of a triangle shape. I followed the outline of the frame that Derrick made and added an 1/2″ all the way around for seam allowances. I used a 3/8″ seam and that gave it a little room for error. I used newspaper to make pattern pieces (taped it to the pipes) and then cut out the fabric shape. The top is one long piece that is the width of the pipes and stops where you see the crease on the front. That is a seperate piece so that it would fit the angle. It is also the width of the pipes, but only 4″ or so in length. Then there is another piece directly on the front attached to the small 4″ one. I made it long enough so that it was flush in length with the side panels. So the sides are each 1 panel and the top is 1 large panel + 2 smaller ones on the front and another 2 smaller ones (the same size as the front) on the back. This probably doesn’t make any sense. Just use your frame as a guide. I’m not sure what it would have looked like if I just did one piece for the top and didn’t use seperate pieces for the angles, it might have been fine. I’m not an expert so I just did what I thought would work. Then I hemmed it all the way around and sewed the little curtains to the hem. Total fabric for the project 3 1/2 yards pink + 4 yards tulle. I used extra fabric to make ties for the faux curtains and a throw pillow. This is the reverse side of her owl comforter in the first photos. It matched the new canopy perfectly! She loves her kitty bed (although she calls it a Tink bed after seeing the Tinkerbell one at the store) and sleeps, not only in comfort, but in style! Here is a close-up on the fabric. It was found at Joann’s in the juvenile apparel selection at 60% off last week. I picked up several prints since it is so bright and cheerful, and nice and sturdy! So much better than calico. Amazing, you make it sound so easy! What a handy husband you have! I love PVC. This is so neat! Great job to you and your husband! Wow this is genius and so adorable! This is AWESOME!!! I want one for my bed! 🙂 Thanks for sharing! My little girl would love this. So cute. I also like her little book thing on the bottom of her bed. Oh my goodness, how creative & adorable. You & your hubby are geniuses! I love your blog and I really love this project!!!! !I am going to have to try this one! I would love if you would join my link up tomorrow where I am hoping to feature any and everything DIY, from recipes, to sewing, to before and afters, etc… Come on by!!! what an amazing little girls bed! What a beautiful canopy.Decorating girls rooms is so much fun. So cute! You did a really good job! I always wanted a bed like this when I was a little girl! Seriously out of control creativity. Awesome. This is so stinkin’ adorable!!! Can I ask how you attached the tulle to the canopy? DI you just sew it on all the way along the top? What a genius idea! I’d love if you would join us over at Sew Woodsy and link up this project! Holy cow! How cool is this?!? My kids would go nuts!! I love it! You did an awesome job! This is awesome! I love that it was a cheaper material & it is something removable, if needed. What a sweet little bed! It looks amazing! You both did a fantastic job, it looks amazing! I would love the pattern for the Toy Bucket. Awesome job on the Canopy!!! This is beautiful!! Oh man, when we get to big-girl bed in my household, it’s going to be SO. MUCH. FUN. 🙂 Thanks for sharing. I love this so much! Beautiful and brilliant. 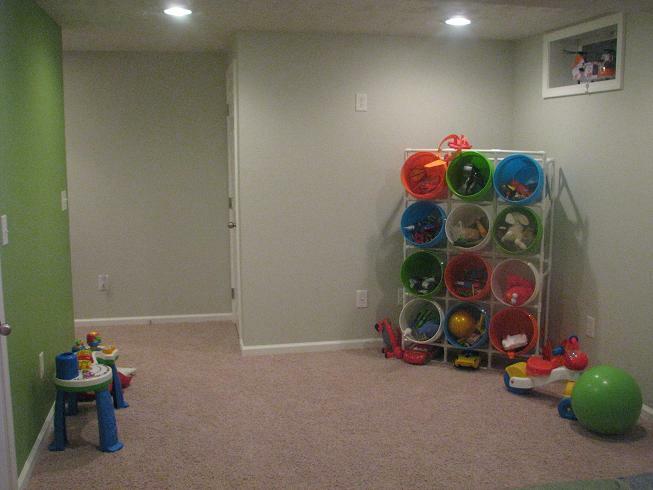 oh my gosh, what a fabulous space for a little one! i would have loved to curl up with a book in that special bed! How cool is that?!? I would never have thought of that. Great blog and projects BTW! This is such a great idea! Thank you for sharing! That has got to be like the cutest thing ever! 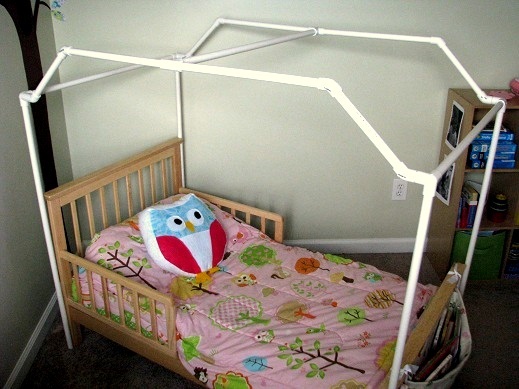 And how creative to use pvc pipe…looks like you are a pro with that stuff though! I love the book bag at the foot of the bed. LOVE this!! Thanks for sharing @’Sew Cute Tuesday’! I’ll be featuring you tomorrow, so be sure to stop by and grab a ‘featured’ button! 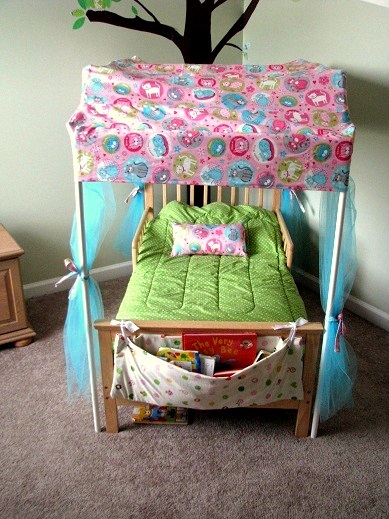 Just what every little girl dreams of…a canopy bed!! I love how you did it!! That is SOOO cute!!!! And looking at it I can see how if you had a boy (which I don’t so no idea why the idea came to me 🙂 )you could totally turn it into a school bus bed by simply making the cover yellow and the flap of fabric stretch down to the bed frame with a window, etc. How sweet! You did a great job with the canopy and your husband with the frame. This is so creative and fun! love this canopy you guys made! Thank you for linking up last week at Sew Woodsy! Please come back tomorrow and link up your most recent project! I just found you blog, such a cute idea. Quick question…I saw the book caddy’s that you made for your boys, then notice the one on your daughters bed. 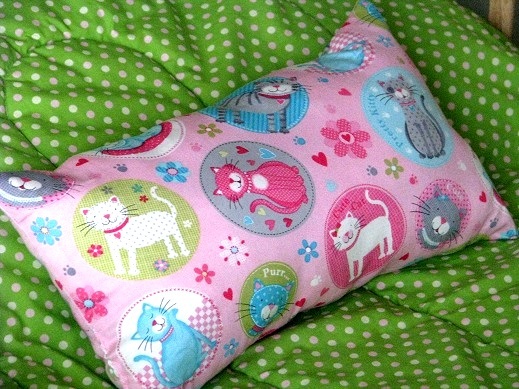 Totally want to make these for my kids, so I was wondering, is the one on your daughters bed the same basic pattern as the boys or is it different. Thanks! Hi Sarah, yes it is the same concept as the ones I made the boys! Just used a sturdy cotton vs. fleece like I used with the other ones. It’s nice to have a place to store their favorite bedtime stories! What a great idea. I bet your daughter loves it! Thanks for linking up. One word for you: STICKER! Darling! Gotta love how cheap and easy PVC is! It’s adorable! What a dream for a little girl!! What a great idea!! That came out so good, I bet your daughter is thrilled! Thank you so much for linking up this week at Saturday Social! Adorable idea! You guys did an awesome job, I’m very impressed!! absolutely gorgeous. I am amazed at everything you guys have done with PVC pipes. So inspiring. I would love for you to link this up to my feature friday link party. This bed is just too cool. So cute!!! I wish I had a girl so I could do this. 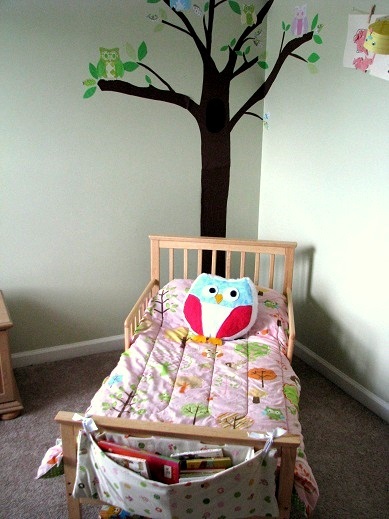 I’m totally pinning this…just incase we ever have a girl!!! Thanks for linking up to Market Yourself Monday! I’ll be featuring this on Saturday on my blog. Featuring all these awesome projects tomorrow on our blog!! We are blown away! Thanks so much for sharing and linking up! Please feel free to grab a button and get your brag on 😉 Thanks again! Cool have you been to pvcplans.com ? They would love your ideas. That is super awesome I love the canopy! come link up tomorrow at scrappy saturdays! I read your blog and knows, that we can use Glue Sticks as a maker of our home.. I love this idea! If I had a girl, we’d be buying pvc! Great idea! Thank you for linking up to Tuesday’s Nursery! Awesome project! Love your creativity. Tahnks for linking up! Loooove this canapy. 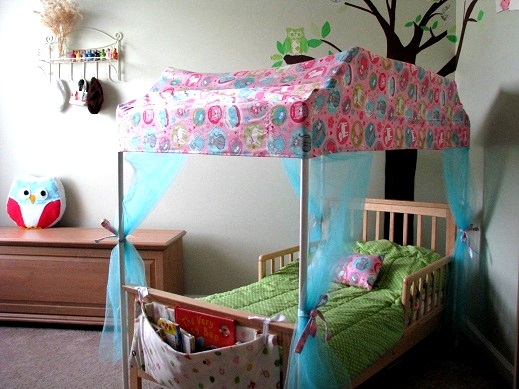 Thinking of buying a toddler bed similar to yours, but really wanted a canopy as well. For some reason every toddler canopy bed I find is made of plastic and I just can’t swallow a plastic bed. Well you’ve answered my prayers darling, because my PVC-master husband has a new project to start. So cute! Thanks for stopping by! I’m glad you stumbled upon our blog 🙂 my daughter loves her bed, and you are right. It’s hard to stomach the cost of a storebought one! 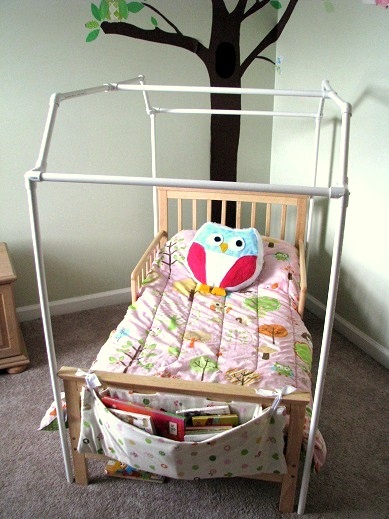 I have an instructable up here: http://www.instructables.com/id/Make-a-Rainbow-Canopy-for-Your-Childs-Room/ for a canopy on a converted crib bed, and a bunch of folks had asked me how to do this for a regular toddler bed. Found you via pinterest, and I linked you from the comment section on my how-to. That rainbow canopy is soooo cool! Thanks for sharing the link! I am wondering if your hubby secured the canopy frame to the bed somehow? We’re looking to build my son a tent like structure for his twin captain bed, and I love the idea of pvp pipes. They really are so versatile. 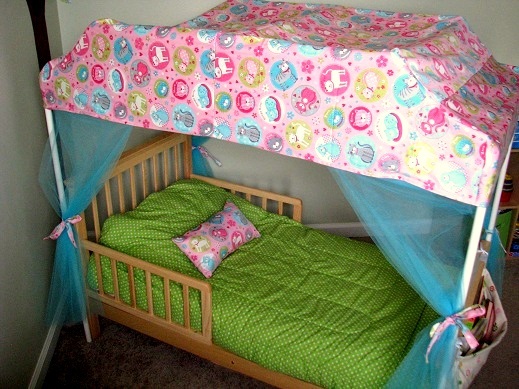 Hi Melissa, I sewed the canopy so that it fit nice and snug. You could use sticky velco tabs to help secure it more, but then you couldn’t ever wash the canopy. I’m wondering if there is another way. Maybe some ribbon sewn and then tied to the pipes? Hi Samantha, this was my first time making a canopy like this so I didn’t make a pattern and we no longer have the canopy to get the dimensions for you. My girls outgrew it. I’m sorry! Hi, I know this post is old but I wanted to let you know I copied the idea and built a pvc frame and sewed a my little pony canopy for it. I wanted to send you a picture if I could. I’d love to see it! [email protected]. And (with your permission), I’d love to share it on my FB page!